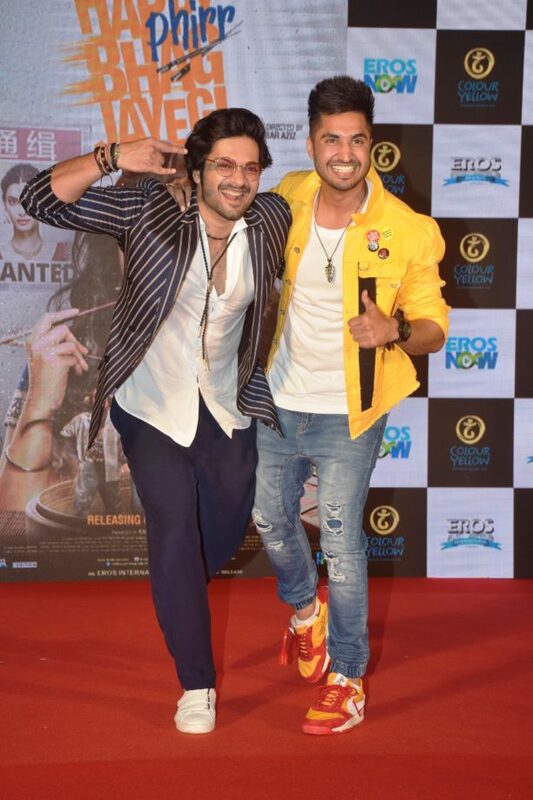 Eros International & Colour Yellow Productions today launched the trailer of Happy Phirr Bhag Jayegi which stars Sonakshi Sinha, Diana Penty, Ali Fazal, Piyush Mishra and Jassie Gill! 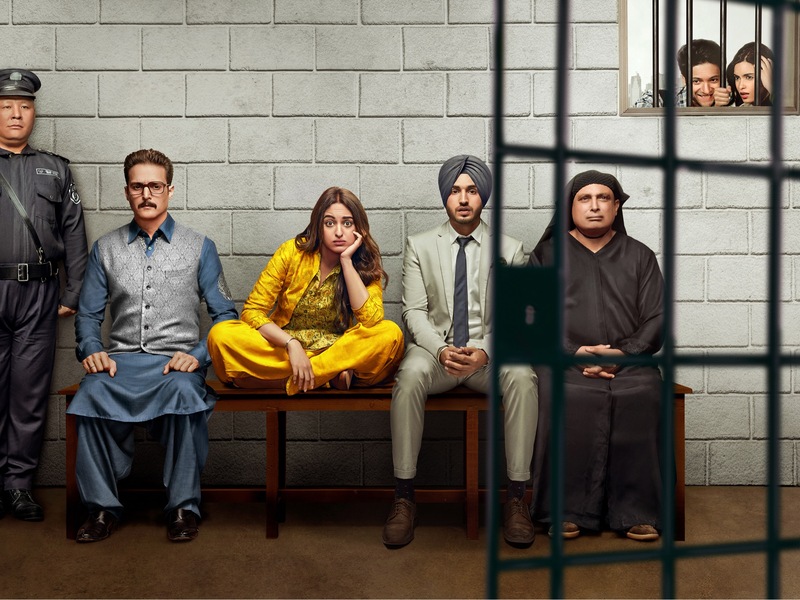 It was unique and first-of-its-kind promotional strategy for their much anticipated sequel, Happy Phirr Bhag Jayegi. In fact, the cast and media were in search of Happy. Everyone was in a fix over the missing of Happy (Sonakshi Sinha) but they eventually found her in Mumbai. 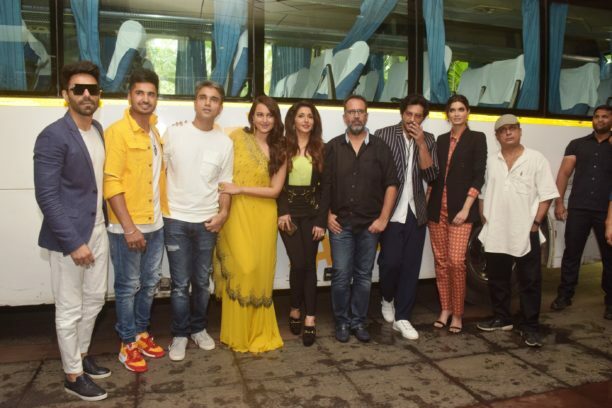 Interestingly, the cast of the film including Ali Fazal, Piyush Mishra and Diana Penty along with the media went searching for Happy in a happy van, especially designed for the film’s promotional campaign. Much to their surprise, they found Happy at a plush hotel in Mumbai where the trailer of the laughter riot was launched. 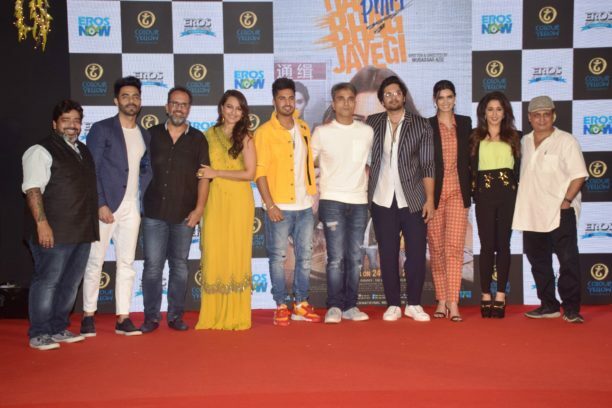 Popular standup comedian Jeeveshu who also plays a pivotal character in the film introduced the cast of Happy Phirr Bhag Jayegi on stage including Sonakshi Sinha, Diana Penty, Ali Fazal, Piyush Mishra and Jassie Gill along with producers Aanand L Rai and Krishika Lulla. Jeeveshu entertained the gathered media with his witty one-liners and hilarious repartee. The film’s trailer was well received by the media. Presented by Eros International and Aanand L Rai, A Colour Yellow Production, Happy Phirr Bhag Jayegi, hits the theatres on 24th August. Madness across the border is the byline for the Happy series and this time, the action moves from Pakistan to China. Plus we have some cool shots from the launch!